Had the pleasure of visiting this incredible location early Sept of 2017 after this year’s Burning Man. Needless to say going to the desert after a hot event might have been a mistake as it was over 100F when this was taken. As we were hiking back to the car there were some storms off in the distance. With the obviously amazing rock in the foreground I was able to capture only one frame with lightning. 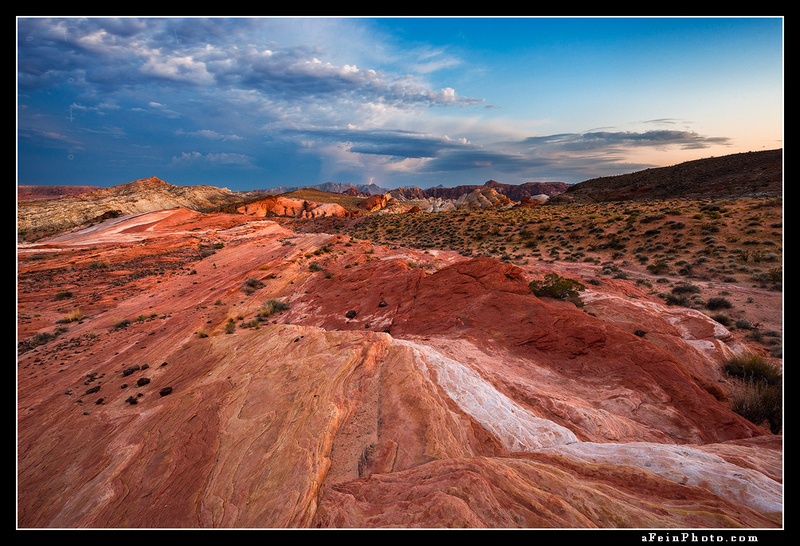 Between the hot weather and lighting…definitely valley of fire. Posted in Image Discussion, Tales From The Road and tagged desert, lightning, nevada, valley of fire on October 26, 2017 October 26, 2017 by Aaron Feinberg.